The following image is taken from the "New Topographical Atlas of Genesee and Wyoming Counties, New York. Philadelphia: Stone & Stewart Publishers. 1866". 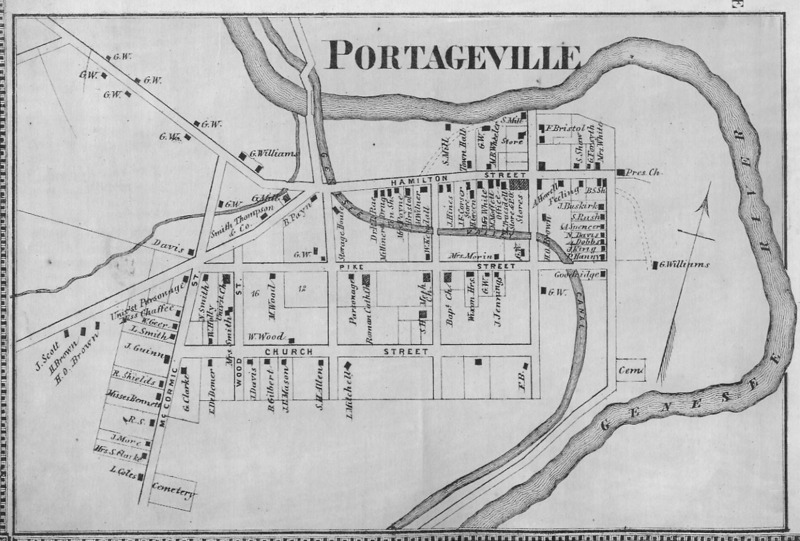 When Mr. Letchworth came to the area in 1859 Portageville was a lively community on the Genesee Valley Canal. Please note in the upper part of the map where the the Canal crosses the Genesee River. This marks the spot of the great Portage Aqueduct. You can find photos of the aqueduct and Portageville in our Historic Photograph Album.